← why drive home when you can fly? So this weekend the adventure began! We bought our map for the Colorado beer drinker and I have vowed to visit and photograph 30 breweries before the end of the year. As we live in a place overflowing with possibilities, I think this is entirely doable. Also, the map came with a coupon book and I am not a girl to walk away from the opportunity to save! 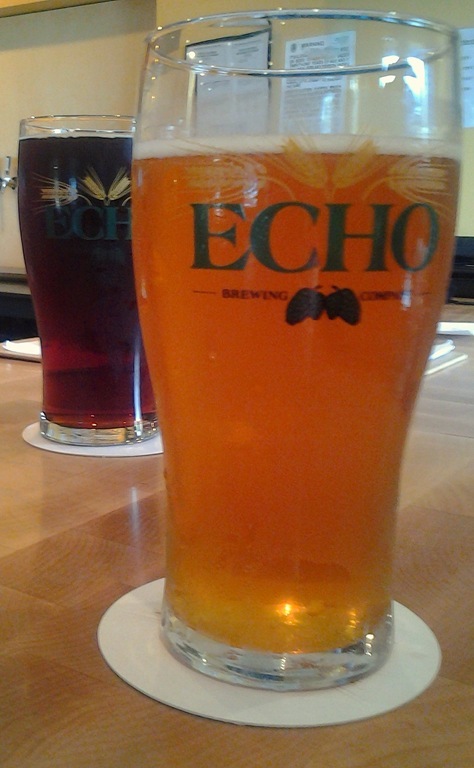 First stop was Echo Brewingin Frederick, Co. This is definitely a family business opened by twins Dennis and Dan who are the quintessential home brewers! 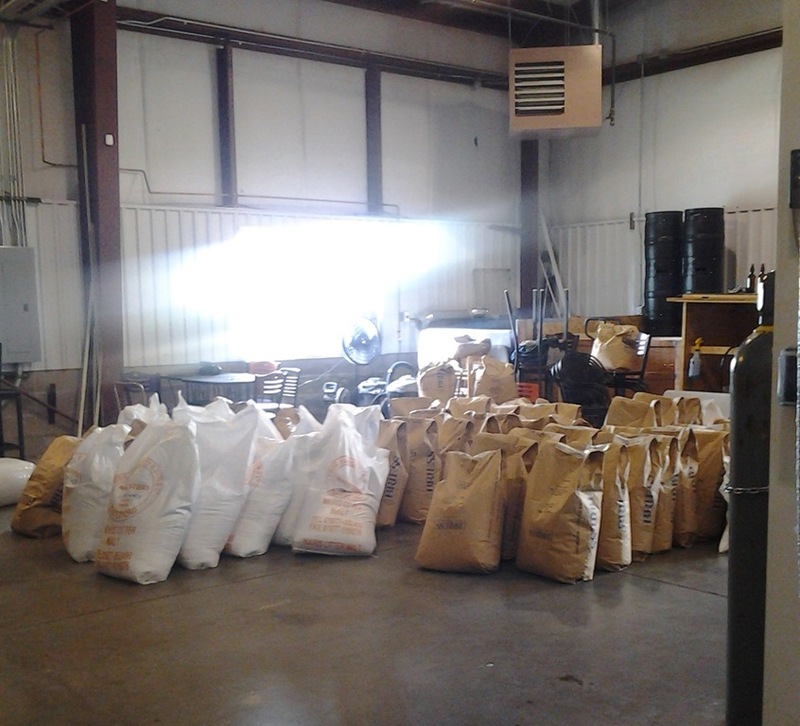 They brewed in basements and garages until the requests became more than there equipment could handle. 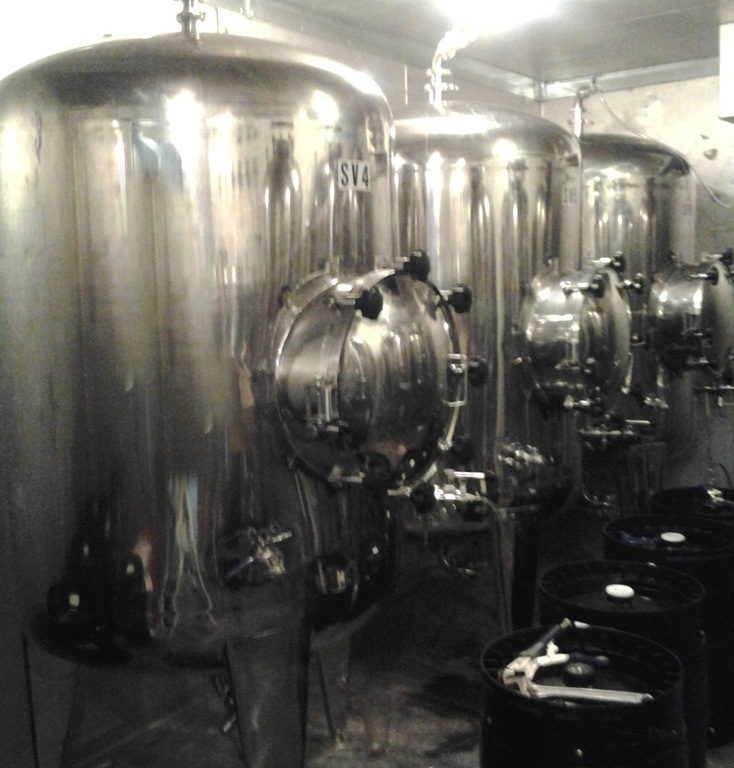 Then they got a huge space, turned some of it into a beautiful, family friendly tap room and got started brewing. They have been open for about 2 months now and we have been stopping by since they opened. We love the clean, tasty styles. Nothing overly complicated (YET!) and some great flavors. This weekend, we were able to take a private tour around the space behind the wall. Dennis said that the best part about opening the brewery and tap house is being able to share their beer with the community. I definitely love the Powder Daze! Hope that one sticks around. It’s a tasty pale (pictured above) with just enough hops. 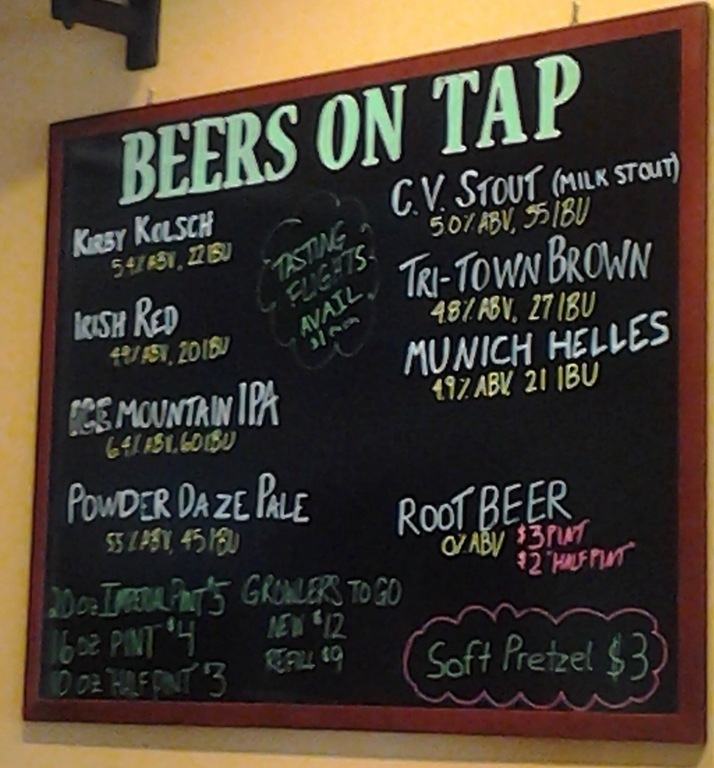 My other favorite is the kolsch. This isn’t a beer that I see too often so I generally shy away. However, this is a beer that is definitely refreshing on a hot Colorado day. Very likely to be a staple at Echo. 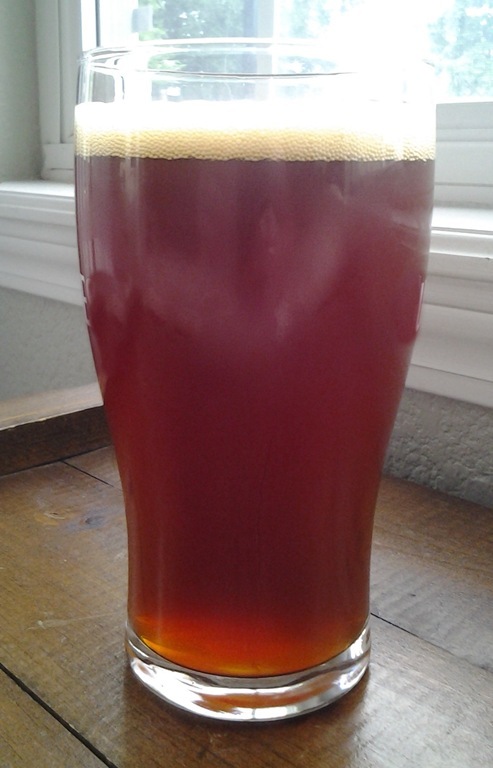 On a side note, we opened our first home brew this evening. It looks good, tastes good, and has instilled some confidence in us. Isn’t she a beaut? Now on to the IPA! I’m wondering, what’s your favorite beer? WOW – where did you get that map? I need one! So excited your first beer turned out yummy, way easier than you thought, right?! 🙂 And I don’t have a favorite beer — too many to choose from. Echo Brewing had them for sale. The beer making process was almost too easy!